Most teens love the idea of using video to tell a story. Why not have your students use their smart phones to take people on a virtual field trip! At its simplest level, a virtual field trip is a video exploration of a location that educates people about that space. You could have students give guided tours of their neighborhood, their schools, of a workplace or any other location connected to what they are learning in your program. You can also extend the idea of the virtual field trip by using video to explore "A Day in the Life" of a particular person. This could be a great way to explore occupations ("A Day in the Life of a Designer") or social issues ("A Day in the Life of a Homeless Person"). 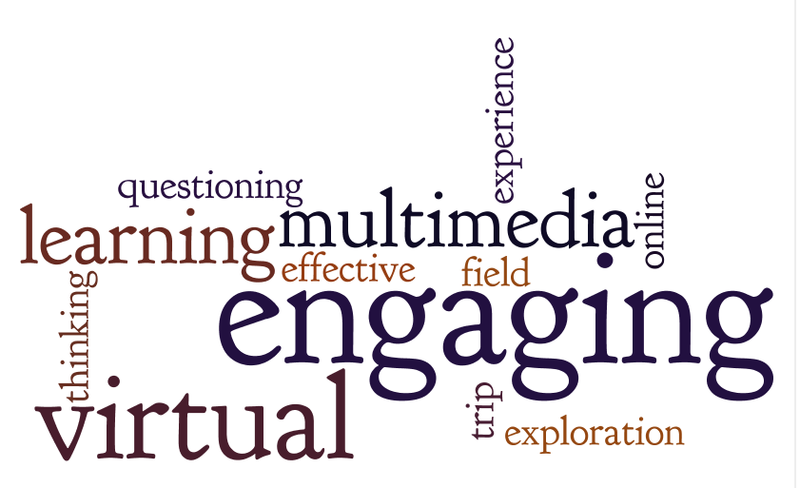 Discuss the virtual field trip concept and share a few sample videos with students. 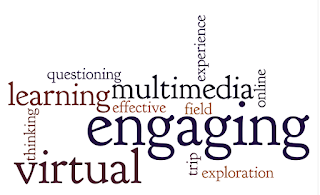 You can search YouTube or check out this article on virtual field trips to get ideas. Brainstorm with students about how they could use the virtual field trip concept to explore places or people related to your program and learning objectives. Depending on your topic, you could have students do a combination of field trips that include both people and places so that as a class, they explore different aspects of the topic. Do you want a time limit on the length of the field trips? If it's your first time doing this, 5 to 10-minutes is a good starting point. What key questions should be addressed? What will they be exploring? If it's a place, what are the key areas they want to document? What are key learning points they want to bring out? If it's a person, who will they be talking to and what do they want to learn/document about that person? What research do they need to do ahead of time to plan for their virtual field trip? If they will be doing a "A Day in the Life" video, what questions do they want to ask their subjects? And what do they need to do to prepare their subject and capture that day in the life footage? Who will be the "on-camera" person (the person who gives the tour) and who will film the video? What roles will other people play? It's a good idea for students to draft a "script" for their virtual field trips. They want to plan out the order of their trips, what they will talk about at each point and how they will conclude their videos. Once students have filmed their virtual field trips, upload them to YouTube. Note that YouTube has a 10-minute limit on video uploads, so don't make them any longer than that. You can then create a Playlist on YouTube that gathers all the videos together in one section. If you wanted to get fancier about it, use Google Sites to create a basic website that explains the theme of your virtual field trips as well as any other information you may want to share--an introduction to the teams that made each video would be a nice addition. You can then use the embed code from YouTube to embed the videos directly into the website so that viewers could watch everything from your site. Give it a try! Let us know how it goes and share your links with us!